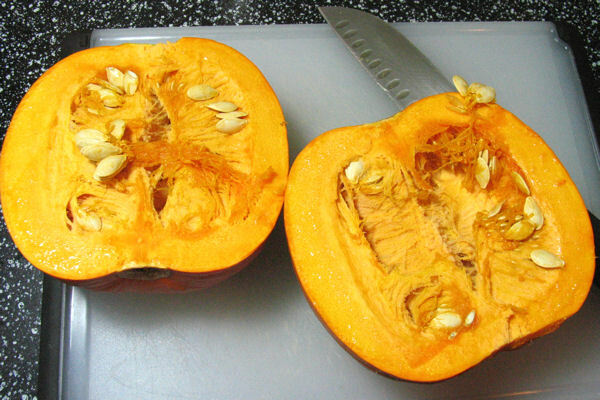 Oh I just love pumpkin too-bring on those recipes-yum!! Wow, Stefanie! When you promise a round-up, you don’t mess around. 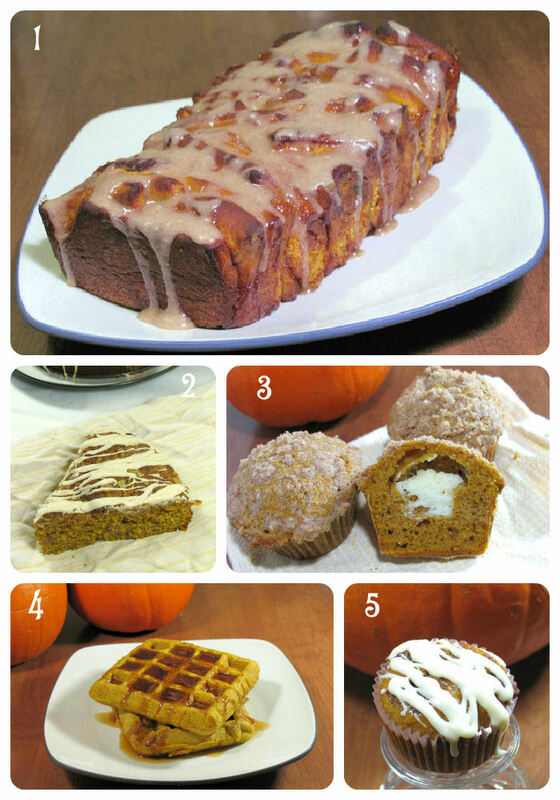 Your first entry, the glazed pumpkin bread, has my mouth watering. I’ve a feeling that my dinner is going to be a disappointment in comparison. Stefanie, I am in So. Cal and I totally know what you mean. We have all been sweatin’ it out here and I just can’t get into the Fall mood of baking. Usually by now I have made several pumpkin baked goods and not a one. Your whole round up has me drooling. Once it cools down a bit, I will definitely give some a try. 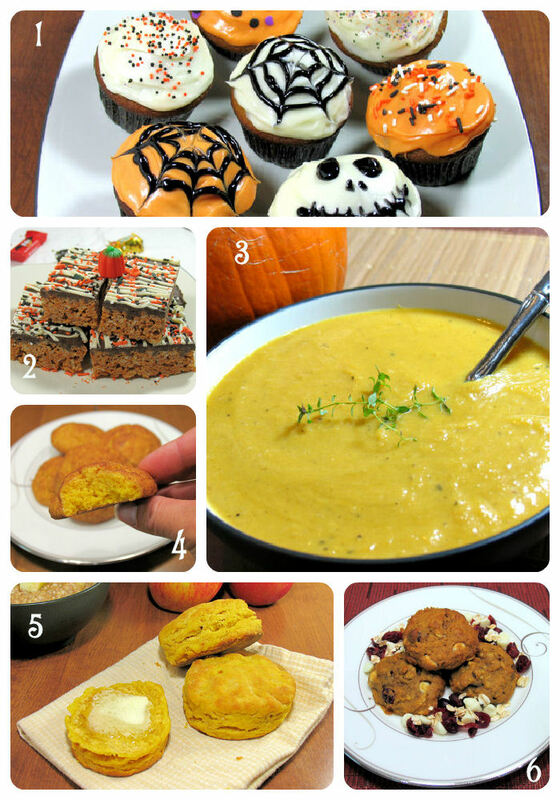 Ooohhh – LOVE all these pumpkin recipes. I’m so loving fall. I want to eat one of those cream cheese muffins right now!